The new LTE Apple Watch Series 3 went up for pre-order last Friday. The device launches this Friday the 22nd of September along with the new iPhone 8 and the new Apple TV 4K. Now it would appear that sales of the new LTE Apple Watch are higher than expected. The news comes from KGI Securities analyst Ming-Chi Kuo. Before the media event, we forecasted the production weighting of the GPS + Cellular version would be 30-40%. However, the pre-order website shows shipments of this version are taking much longer than those of the GPS version (3-4 weeks, from shipments launch day of September 22). We estimate the preorder weighting of the GPS + Cellular version is 80-90%. 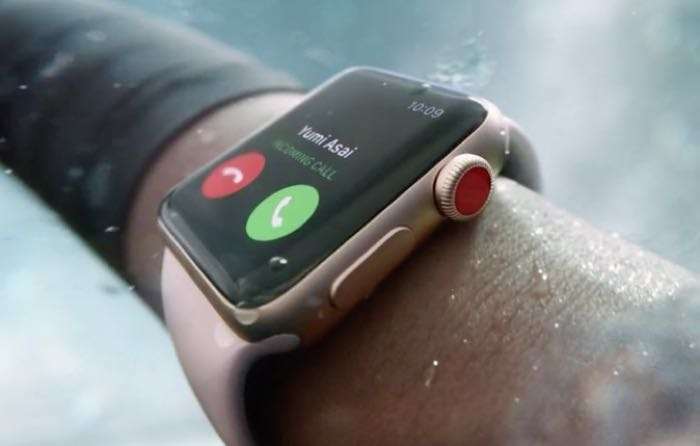 The new LTE version of the Apple Watch Series 3 started to sell out very quickly after it went up for pre-order. The device is now showing shipping times for 3 to 4 weeks which is actually longer than the new iPhone 8 and 8 Plus handsets.